Exclusive! Girl talk! A trio of gal pals take a funny look back at life. 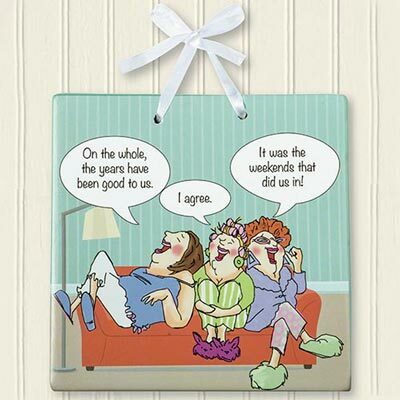 Give our Weekends Plaque as a gift to that special friend who's been with you through thick and thin. Ceramic with satin ribbon hanger. Imported. 6" sq.